The first ever Howl-O-Ween event was held to help celebrate the opening of the new Dog Park at Chrisman Park. During the event, owners and dogs dressed in costumes in an attempt to win one of several categories. 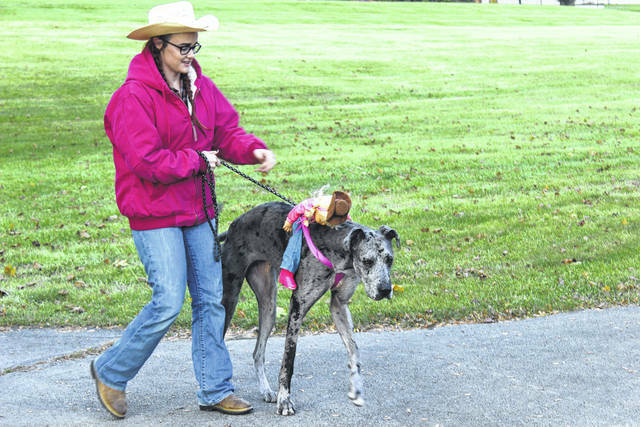 The best large dog costume was the Bucking Bronco Great Dane. 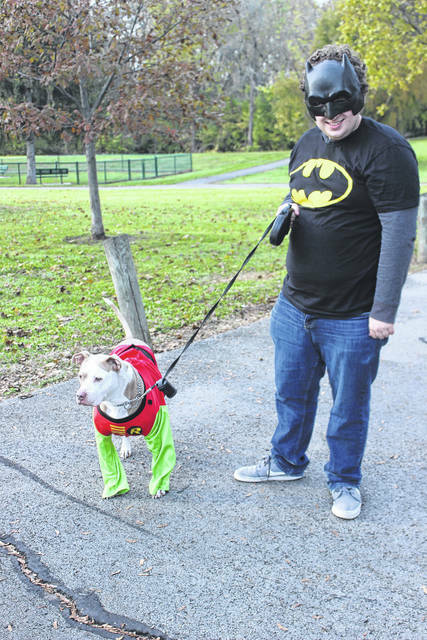 The Batman and Robin entry was one of the two “Best Dog/Owner Costumes” at the event. The first Howl-O-Ween event was held on Tuesday evening to celebrate the opening of the new Dog Park at Chrisman Park in Washington C.H. The Dog Park Committee expressed thanks to everyone that attended the Howl-O-Ween event on Tuesday which helped to show off the dog park. 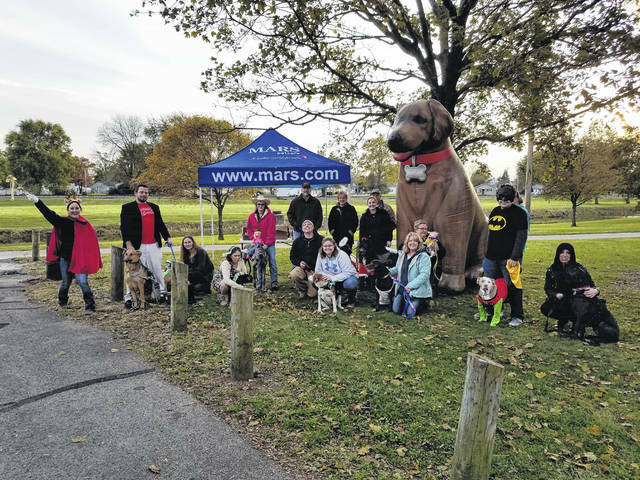 Howl-O-Ween supporters included MARS Pet Care, TSC, 5/3 Bank, Buckley Brothers, Jessie Baldwin, Caitie Huffman, the City of Washington Court House, Travel and Tourism, and Family Farm and Home. During the event, owners and dogs dressed in costumes to help celebrate the opening as well as compete for a chance to win one of the categories of costumes. The most humorous dog costume was the “Canine Ballerina,” Best Dog/Owner Combination Costume was “Cave Woman with Dinosaur” as well as Batman and Robin, the best small dog costume was the clown Chihuahua, and the best large dog costume was the Bucking Bronco Great Dane. The construction of the dog park was made possible through the generosity of the community. The dog park was built and continues to be improved upon with private donations. Current Dog Park committee members include Bruce Willis, Mikki Hunter-Smith, Jessie Baldwin, Caitie Huffman, Kim Bonnell and Joe Denen. The information in this article was provided by the City of Washington Court House.